Apple: A Global History explores the cultural and culinary importance of a fruit born in the mountains of Kazakhstan that has since traversed the globe to become a favorite almost everywhere. 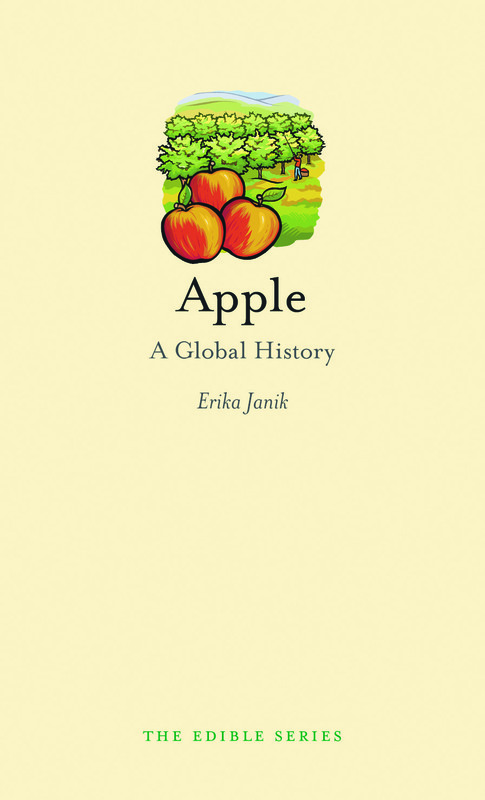 From the Garden of Eden and Homer’s Odyssey to Johnny Appleseed, William Tell, and even Apple Computer, Erika Janik shows how apples have become a universal source of sustenance, health, and symbolism from ancient times to the present day. Featuring many mouthwatering illustrations, this exploration of the planet’s most popular fruit includes a guide to selecting the best apples, in addition to apple recipes from around the world, including what is believed to be the first recorded apple recipe from Roman gourmand Marcus Apicius. And Janik doesn’t let us forget that apples are not just good eating; their juice also makes for good drinking—as the history of cider in North America and Europe attests. done the same (possible) but I think it is more likely that there were deer in the area that helped with the clean up of any fallen apples (including the apples that tend to soften up early and fall off the tree early due to insect damage). I have visited some areas of the state recently that have heavy deer pressure and I have found apples trees where the owner of the property does not perform any care of the tree (no spraying) and also does not have any insect problems. I think the interruption of the insect cycle by the deer or other hungry creatures is an aspect of apple management that isn’t given enough credence. The suburban area that I live in has a few deer move through every now and then but not enough to clean up apples in time to interrupt the insect cycle. I have been trying to maintain my apples without any sprays and I have been having some success using apples socks (nylon socks sold for this purpose) as well as other methods. Are you familiar with any of these methods? I am looking forward to getting a copy of your book. I have heard of the methods you mention but I’m still not sure the right answer – I’m a apple historian, not a grower! It seems like growers each have their own methods and tricks for dealing with whatever their local problem may be. And that these problems continue to evolve and change so there’s a constant need for new ideas.